UC San Diego Warren Mall. Photo by Erik Jepsen/Publications. 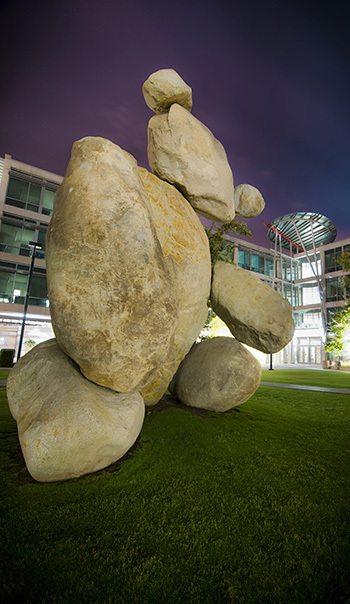 UC San Diego’s Visitors Tour Program offers free tours to local residents, new faculty and staff, first-time visitors and the general public. These Sunday afternoon tours are led by knowledgeable adult volunteer guides. Walking tours are conducted the first Sunday of every month, while tours are by bus for the remaining Sundays of the month. Tours highlight campus history, art and architecture. 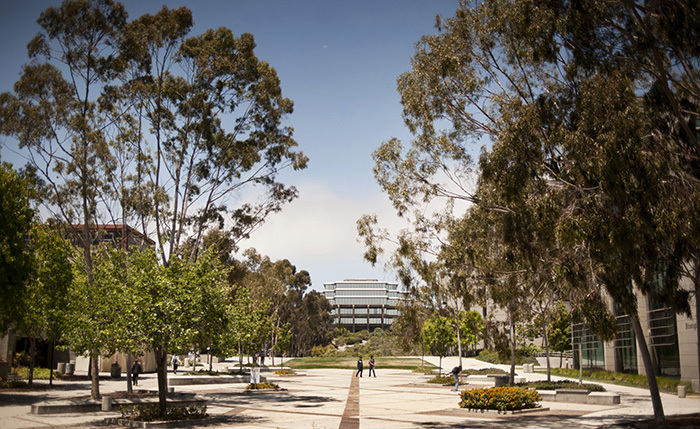 Guides focus on the history of the university, iconic Stuart Collection sculptures, the evolution of UC San Diego’s six colleges, green building strategies and other notable points of interest across the 1,200-acre campus. Patricia Danylyshyn-Adams, associate dean of Student Affairs and director of residence life at Muir College. Photo by Erika Johnson/University Communications. As Associate Dean of Student Affairs and Director of Residence Life at Muir College, Patricia Danylyshyn-Adams has been living on campus for the past 40 years – yes ‘living.’ She has been working with student affairs since she arrived in San Diego in 1977, helping students adjust to life away from home and living with roommates in a residence hall setting. 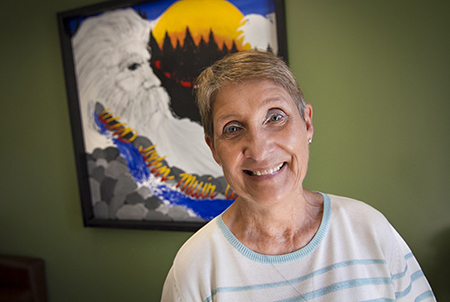 Her apartment in Tioga Hall, where she raised her own two daughters, has become a little slice of home for students to visit and even pet her cats. As one of the newest Visitor’s Tour Program guides, she has put her vast knowledge of UC San Diego to good use, enhancing the tour script with her own experiences and anecdotes about the university’s history. 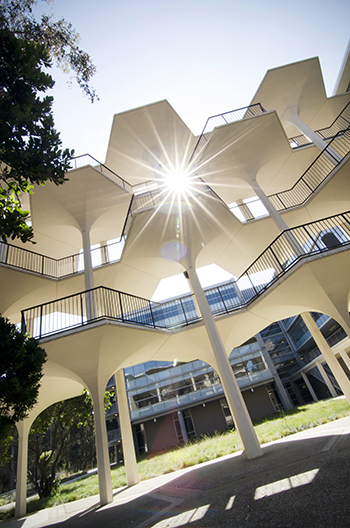 Mayer Hall, Revelle College. Photo by Erik Jepsen/Publications. Bear, Stuart Collection. Photo by Erik Jepsen/Publications. The next tour available, a bus tour, will take place on Nov. 18. For the full schedule of tours and to register, visit the UC San Diego’s Tour Program website here.